More information is listed further below that relates to your privacy in relation to the use of this website. 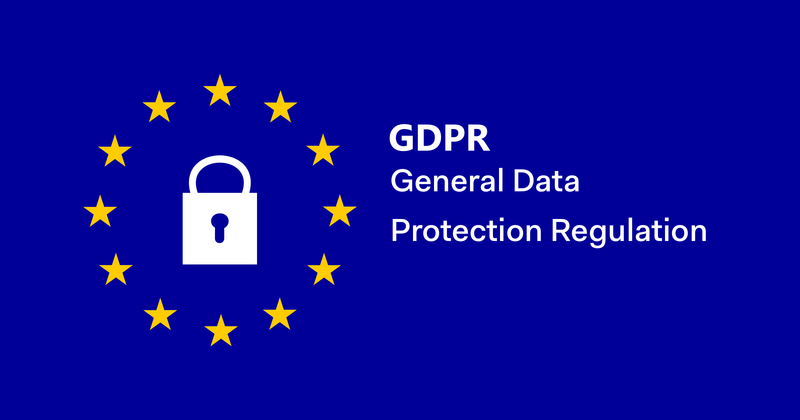 We value your privacy and are committed to keeping your personal data safe, thus we want to keep you up to date with the new General Data Protection Regulation (GDPR) that is enforced from 25th May 2018, that oblige businesses like ours to follow new rules in relation to the holding and processing of any of your personal data held by us. In order to ensure you that we meet these new rules, we have sought advice from the Information Commissioners Office regarding the necessary steps we have now undertaken. We only collect basic information, such as your name and contact details. This basic information will only ever be used to allow us to respond to any requests for information that you may have sent us, and/or for the supply of any products you may purchase from us. These details are only held as required to administer our response to your messages to us, or for accounts and billing purposes. Please note that we never engage in direct marketing at all and thus you will not receive any unsolicited emails or other communications from us, unless it is sent by us as result of your direct request to us to send you information. We will NEVER pass on any of your information to a third party individual or organisation. How do we protect your basic information? Since 2012 we have employed the secure services of the G Suite & Google Cloud Platform to securely manage and maintain our customer database. Here is a summary of the expertise and resources Google provides to us in order that they and we are fully compliant with the new GDPR regulations. There is a link below for you to review the commitments that Google provides for GDPF compliance, in relation to the services we engage with Google to manage on our behalf using G Suite and Google Cloud Platform services. Once again, your data will only ever be used as a means to communicate with you, either by email or by text messaging solely in relation to enquiries you make of us and business that we may do together. We do not engage in any email or SMS sales marketing and thus, will only contact you as a result of you requesting information from us, or having direct business dealings with us. Your data is held securely, as described above, and will NEVER be shared with any other organisations or individual(s). Furthermore, all of our email correspondence sent to you will always contain information to give you the opportunity to unsubscribe from our messaging, and provide you with a method that you can request we delete all of your contact and other information that we reasonably hold, in relation to you making initial contact with us when initially requesting information or services from us. So in order to comply with the new regulations from the 25th May 2018, we ask you to acknowledge how you would like us to proceed, we would be grateful if you would consider the two options below. If you would like to remain in our database for the purposes stated above, you need do nothing more. If however you would like us to remove all of your information held by us from our address book and other information and document database, please simply click on the link we have provided below to send us an email requesting that we delete all of your data held by us. When clicked, the link will create an email to send to us, you just need to then press ‘send’ on your email account to complete the request. Alternatively, please feel free to contact by sending us an email to enquire as to what data we hold of yours, and should you require us to delete it all, simply mark the subject line with “GDPR – PLEASE DELETE MY DATA”. Upon receipt of your message we will then remove all of your personal information from our address book. We really hope you will continue your existing relationship with us, as this has always been the core value of our business and one that reflects our nature of always doing the best we possibly can for you. We hope you find this information informative and useful and always welcome any queries by email or simply call us, our contact details are below. Your information will not be disclosed to any third party ever. If we contact you by email, it will only be sent to you at your specific and individual request for information. each time you receive a requested message from us, you will have the option to decline to receive further communications from us. If you would like us to destroy all information we hold about you, please let us know. Please note that if you request your data to be deleted, you will need to resubmit a new email request or call to us to receive any information from us in the future. We will never disclose aggregate statistics about our site visitors, clients and sales in order to describe our services, however these statistics will include no personally identifying information. If this business is sold or integrated with another business your details may not be disclosed to any prospective purchasers and their advisers and will not be passed on to the new owners of the business unless a specific request is conformed by you to us, for example, to maintain your horsebox post sale or offer repair and warranty services. Our systems automatically gather some anonymous information about visitors, including IP addresses, browser type, language, and the times and dates of web page visits. The data collected does not include personally identifiable information and is used, as described above, for statistical analysis, to understand user behaviour, and to administer the site. (“Google”). The information generated by the cookie about your use of our website (including your IP address) will be transmitted to and stored by Google on servers in the United States. Google will use this information for the purpose of evaluating your use of our website, compiling reports on website activity for website operators and providing other services relating to website activity and internet usage. Google may also transfer this information to third parties where required to do so by law, or where such third parties process the information on Google’s behalf. Google will not associate your IP address with any other data held by Google. We have put in place various security procedures as set out in this policy. For example, our security and privacy policies are periodically reviewed and enhanced as necessary and only authorised personnel have access to user information. We use secure server software (SSL) to encrypt financial information you input before it is sent to us, and our database is hosted in a secure WordPress data centre. Whilst we cannot ensure or guarantee that loss, misuse or alteration of data will not occur, we use our best efforts to prevent this.